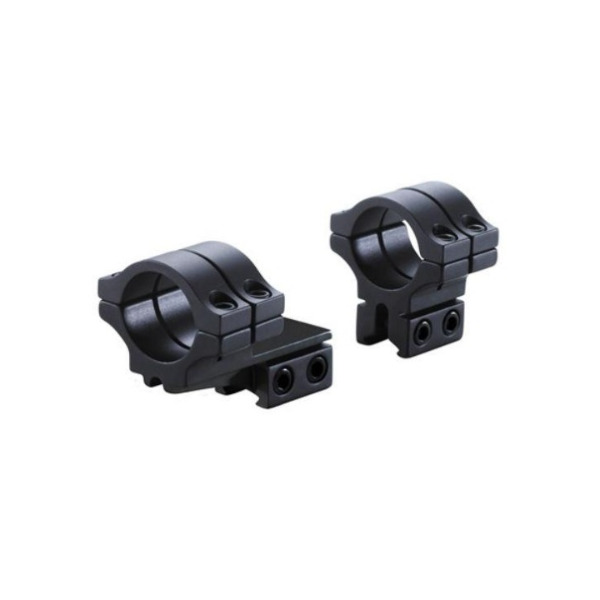 The BKL Technologies BKL-302 30mm Double Strap Extension Dovetail Rings are designed for target shooters who want more dovetail clamping surface. These awesome riflescope rings are lightweight and made with high quality materials. Designed to fit standard 3/8in and 11mm dovetails and scopes with a 30mm tube, they increase eye relief adjustment on receivers that have very little dovetail or where the bolt is too far forward. If you’re looking for rings as strong as your firearm, choose the BKL Technologies double strap 302 rings in either black or silver.